Happily Uprooted | An online update of our life and travels! An online update of our life and travels! Please come over and join us there and sign up to follow via email! New Year‘s Eve… we decided since we are en route to Gila Bend, AZ we would make a few stops along the way since we rarely get time between jobs to actually enjoy the journey. Our first stop was the town of White‘s City, New Mexico. There really isn’t much to the town… AT ALL… but the campground was right outside the National Park entrance. We were told that the campground was built and designed in the 50’s, and you could tell. The spaces were tiny! The good part is that they are full hookups and 36.00 a night. 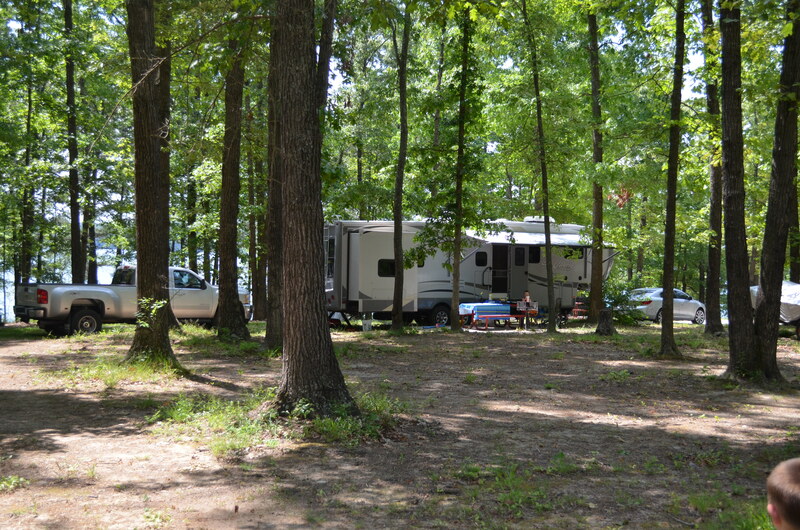 The RV park was a NO FRILLS park, but we chose it because of how close it was to the Caverns. Once we got to the Caverns Patrick waited in line and I took the boys over to the information desk to get started on their junior ranger program! 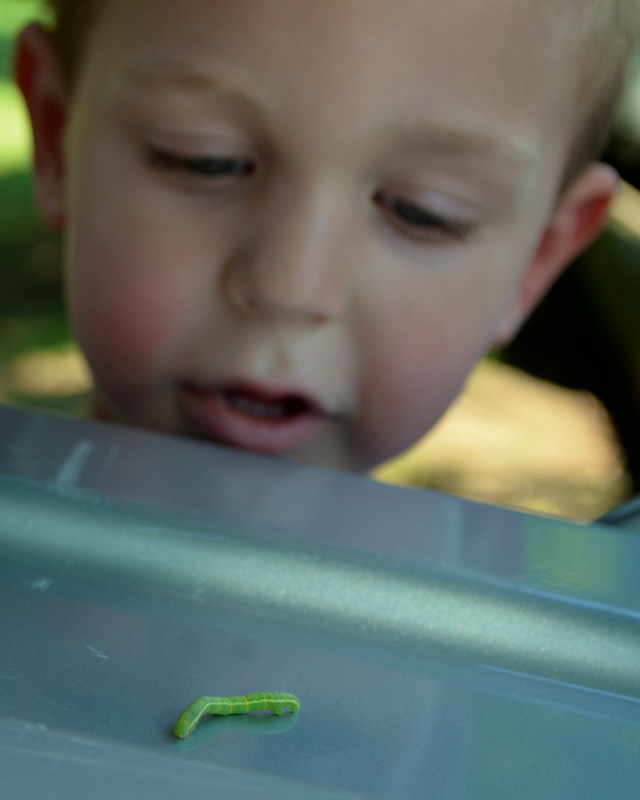 The junior ranger program is a program for children offered by the National Parks Service. The program is for children who are interested in learning more about the parks and how they can help protect them. It is much better and more interactive than just visiting the cave. The boys were given a workbook, pencil and instructions and started working on them right away. They really enjoyed learning different facts about the bats! Once they complete the visit and their workbook they take it to a ranger and she goes over it with them. If it is completed and they answer the questions from the ranger they get an official badge or patch and take the junior ranger oath! The cave tour we took was a self guided tour that lasted about 1.5 hours. You can rent audio tour for 5.00 a person so we rented one and took turns with it. The cave itself was massive. I must say… I was hoping for sparkly crystals and breath taking views, but it was pretty basic. We still enjoyed the cave and especially the awesome ranger that took time out of her day to sit with the boys and talk to them about what they experienced! Since we are affiliated with the military we were able to each get a FREE ANNUAL National Parks Pass (an 80.00 value). This offer made our admission into the cave FREE! If you are military I highly recommend getting your free pass! Update on our life and travels!! Whew! It has been a whirl wind experience this last 6 months! 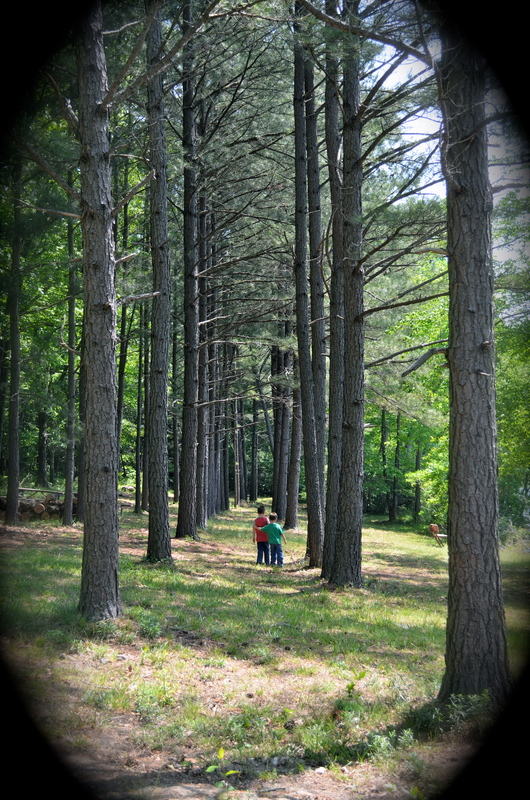 Last I blogged we were in Tennessee! Since Tennessee we went to Denver, Colorado for a few months, and then Tomah, Wisconsin! We have been having so much fun that I keep forgetting to blog… and we have had HORRIBLE internet! Everyone is doing well and still enjoying traveling! We are currently in route to Gila Bend, Arizona from Weir, Texas where we spent time with family and friends for the holidays. While on the road to Arizona we plan to take our time and visit Carlsbad Caverns, Lincoln National Forest, Snow tubing in Cloudcroft, NM and White Sands National Monument. 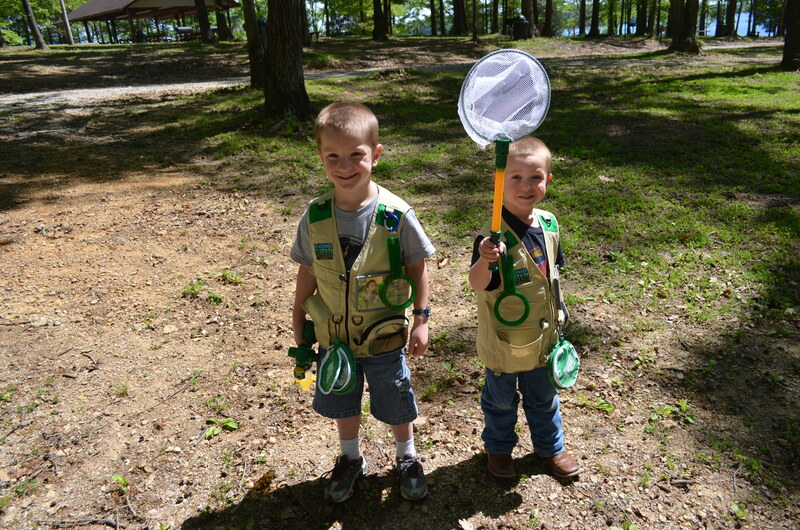 Most of these places offer the Junior ranger program and the boys are excited to earn their badges! After Arizona we have no idea where this adventure will take up next! I am hoping Maine and Patrick is hoping Washington. I guess we’ll see! 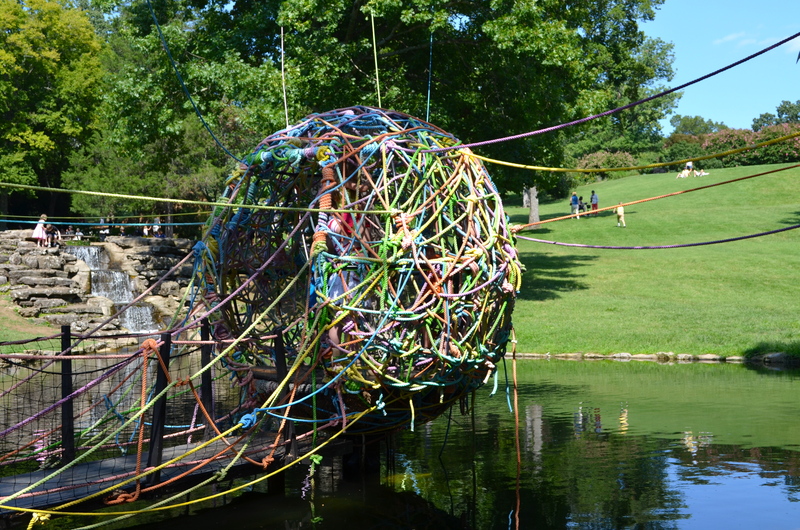 On August 11, 2012 we visited Cheekwood Botanical Gardens and Museum of Art. It was a nice, sunny day and the high temp was below 89 degrees. Just beautiful and breezy! We originally decided to check this place out because I found a website online that said it was free. However, when we got there it was not free. After touring Cheekwood we were thankful that we paid!! We absolutely loved it! 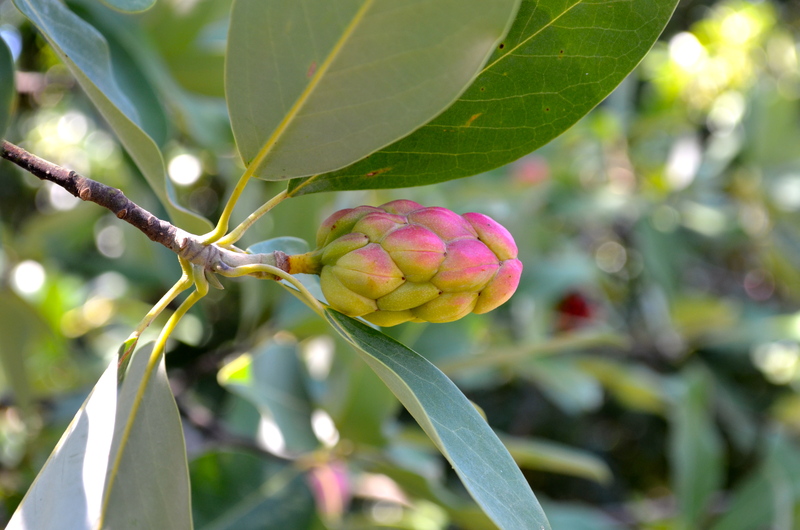 Cheekwood is a botanical garden. 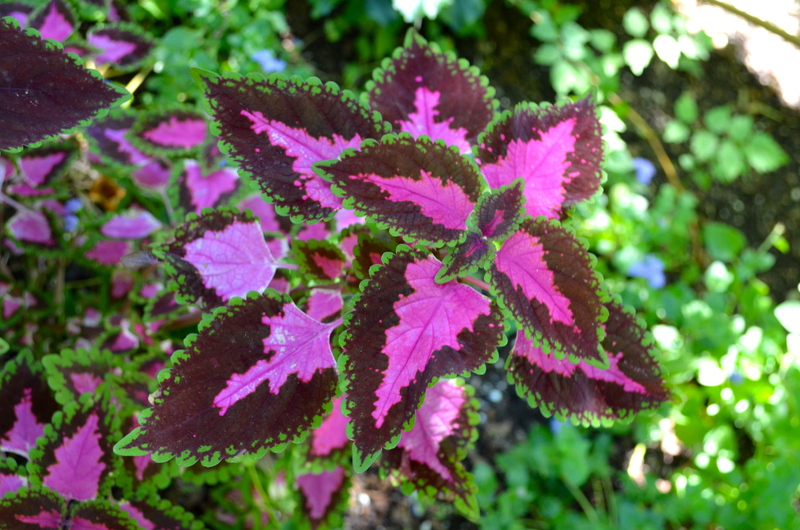 Not just ANY botanical garden, but 55 acres of several beautiful, themed botanical gardens that opened to the public in 1960! 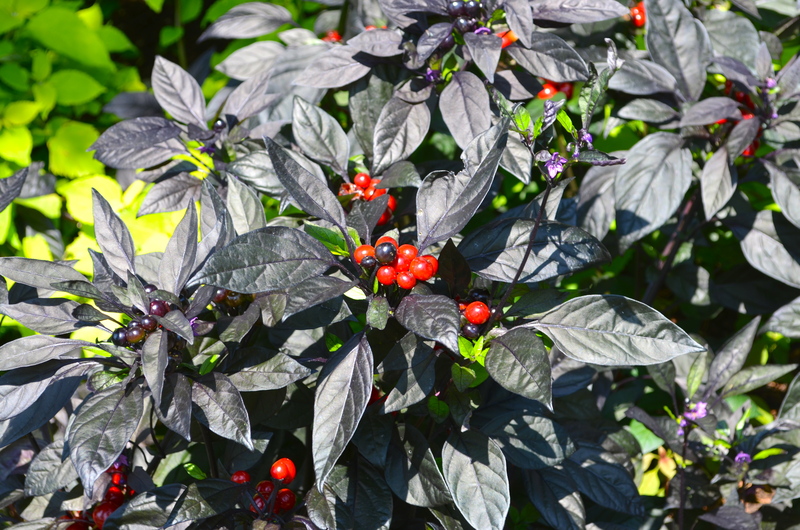 Visitors will be delighted to see a Japanese garden, a color garden, an herb garden, two perennial gardens, water garden, seasons garden and an award-winning wildflower garden. 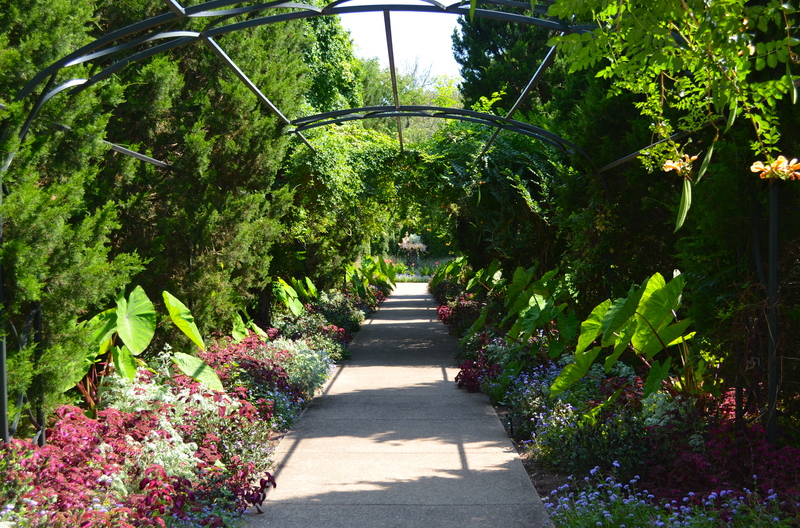 As you meander through the different gardens it is like entering a different part of the world. Our favorite was the bamboo forest with beautiful Japanese stones statues and towering bamboo. The zen garden which is made up of raked pebbles and strategically placed granite boulders and plant life was pretty calming too! Botanic Hall, the center of the horticultural activities, had a bonsai exhibit while we were there. I am told these change often! This exhibit was bar far one of the coolest exhibits we have visited with children. As you walk through the botanical gardens along the paths there are artist built tree houses that correspond with great children’s literature throughout history. 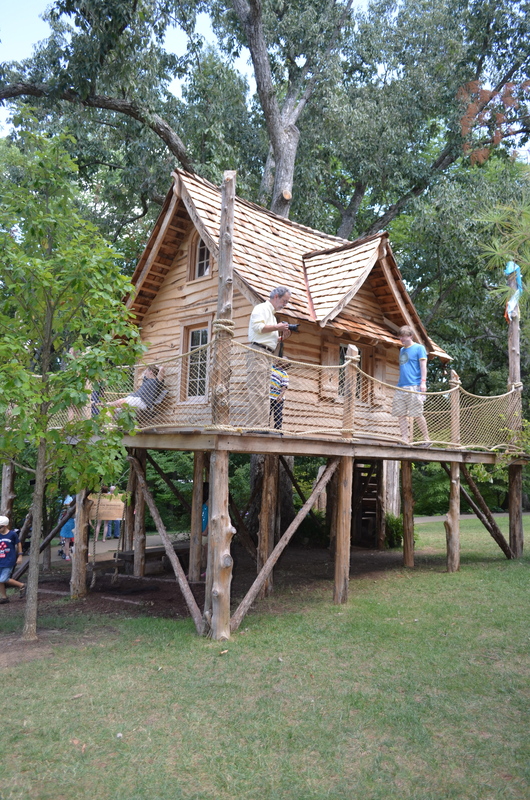 Treehouse representations include tree houses fashioned from the books “The Giver,” “Rainbow Fish,” “Peter Pan,” “The Hobbit,” “Lord of the Flies,” and “Haroun and the Sea of Stories”. 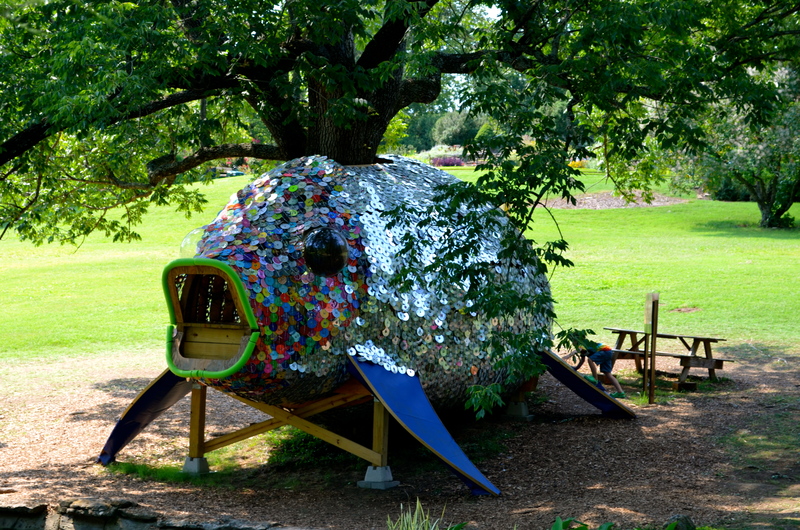 While each whimsical treehouse was so much fun and a delight for both children and adults I have to say my all time favorite tree house was the “Rainbow Fish” which used recycled cd’s and dvd’s as the scales and the sunshine sparkled off of it! 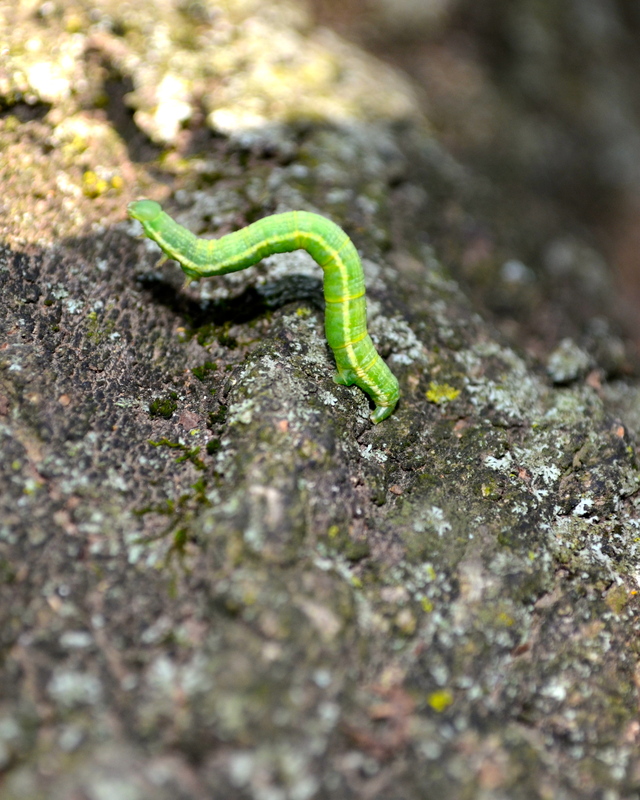 The kids even found an inch worm that they played with for a while before releasing it onto a tree. If you are in the area of Nashville, TN this is a must visit! The kids will be talking about it for a long time! 50% MILITARY DISCOUNT for military personnel. Must show current military ID. 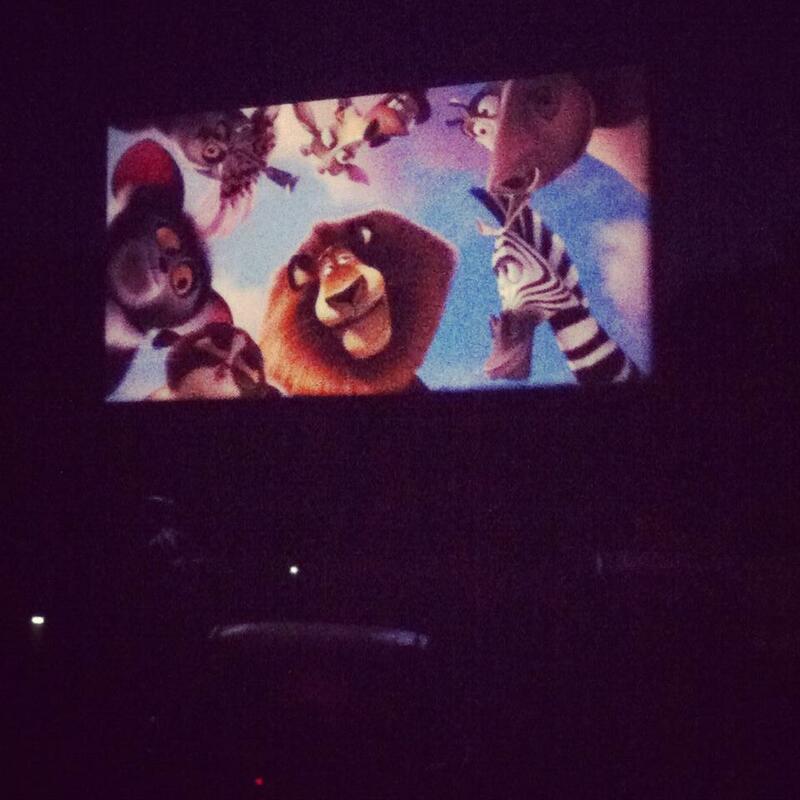 Madagascar 3 at the Drive-In! 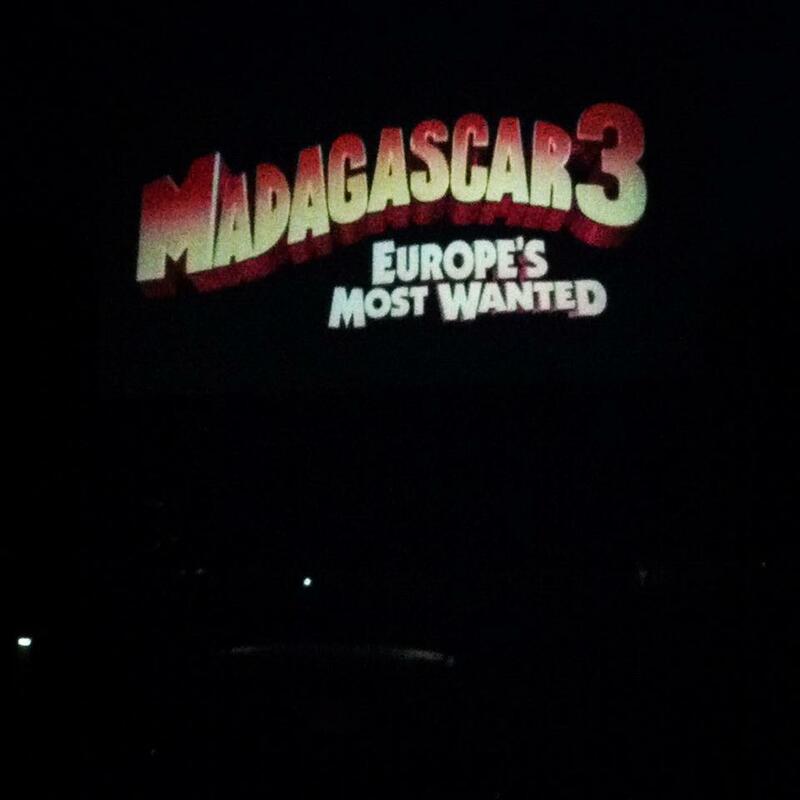 Last night we forwent the early bedtime and went to an 8:30pm showing of Madagascar 3 at the Drive-In Theatre! We took the truck and the lawn chairs and listened to the movie through the am/fm radio. The boys enjoyed Madagascar 3, but Patrick and I agree that the first two were way better and more entertaining. We both winced when the angry tiger covered up the word bullish*t with Bolshevik. It was very clear what he actually meant. Since we are Drive-In newbies we didn’t know what we were supposed to bring. Next time we will remember to bring blankets! Even though it was 60 degree we were all freezing in the open air of the back of the truck. We are here in Tennessee and I would like to say we are loving it, but love is not the word I would use to describe our time here in Tennessee! We drove out here with the expectations of really liking it. We set up at Arnold AFB and got settled in. The longer we are here the longer the tall, tall trees start to close in on us! We were told how beautiful Tennessee is and how we were going to like it. Even though what you can see of it is pretty, we long for wide open spaces and distant scenery. The number one thing that I dislike about Tennessee is the ticks! I didn’t grow up around ticks, so I am not used to finding them in the most disgusting places on our bodies! 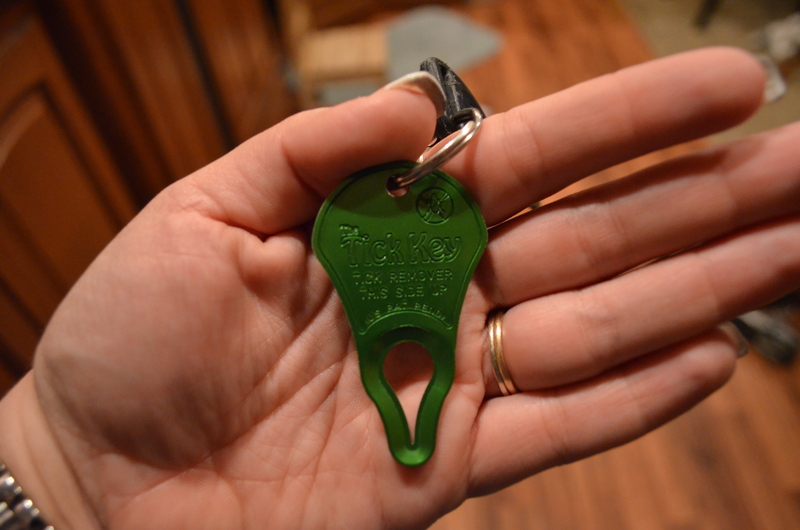 Patrick received this “tool” in the picture above on the first day of work. This is the first time ever the first day of work involved a “tick briefing”! YUCK! 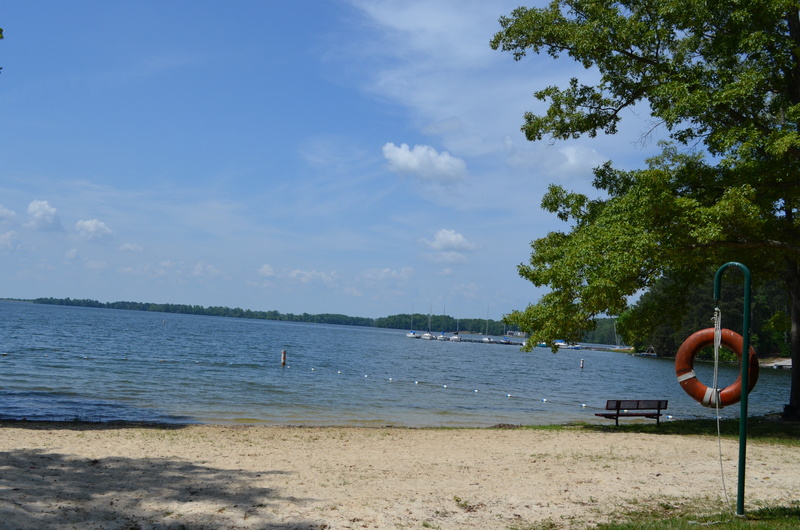 The bonus is we are RIGHT ON the lake… so there is an abundance of swimming, fishing and people with boats! 🙂 And as usual we have had the pleasure of meeting some really nice people. So far our travels have taken us from coast to coast and some of the nicest people we have ever met are fellow RV’ers. The boys and I were invited by neighbors to go out on their pontoon boat! The boys were so excited! They even got to drive the boat all alone while Brian (the captain) sat in the front and told them which way to go. So far we have visited the Hands On Science Center in Tullahoma, TN. This place is a children’s science museum on a very low budget, but it is JAMMED PACKED with neat science stations! 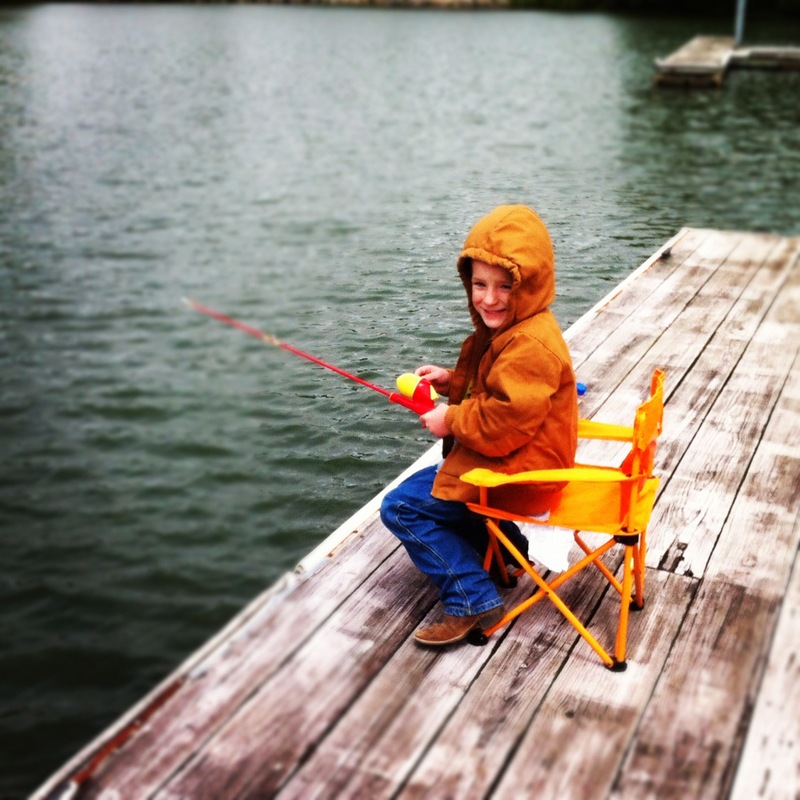 Since we are right on the lake we decided to buy some fishing poles and try our hand at fishing! 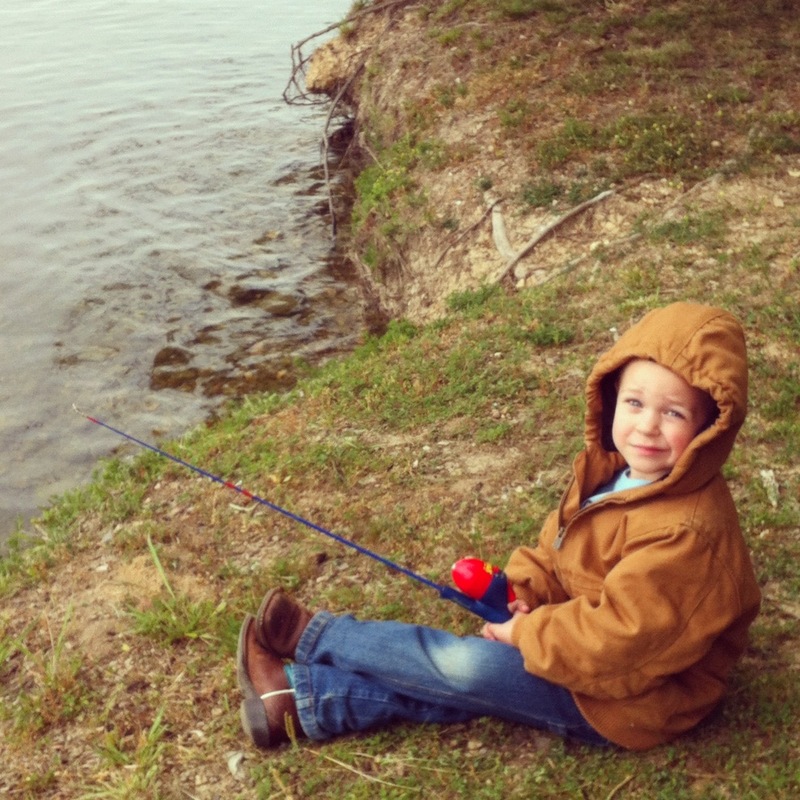 The boys were so excited to catch their first fish ever! One thing we love to do as a family is to cook meals over the open fire of a fire pit! We don’t get to do this often because a lot of campgrounds don’t allow the fire pit or the state is under drought conditions and won’t allow open fire. Luckily that isn’t the case here in Tennessee so we took the opportunity to make some yummy meals! We rigged up a way to do a rotisserie chicken on the fire pit. It was a little labor intensive for Patrick to turn it, but it was well worth it. It turned out DELICIOUS! For this recipe and other nomadic yumminess join us at Nomadic NOM NOM! At the end of the day, after the kids go to bed we enjoy sitting outside under the redneck christmas lights with music and a drink… just relaxing. 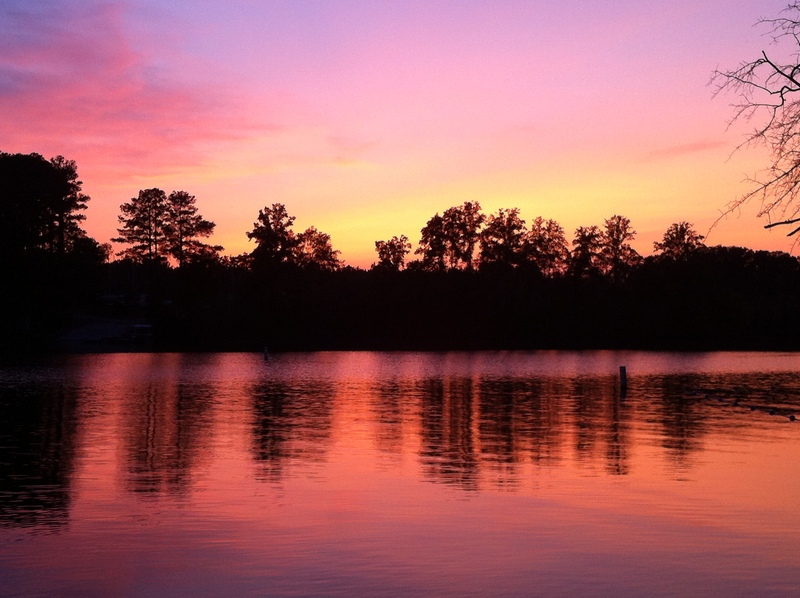 The sunsets here are beautiful and make me thankful to have had the opportunity to visit middle Tennessee! If you have questions or comments we would LOVE to hear from you! Please follow our blog (link in the sidebar) and leave us your comments! 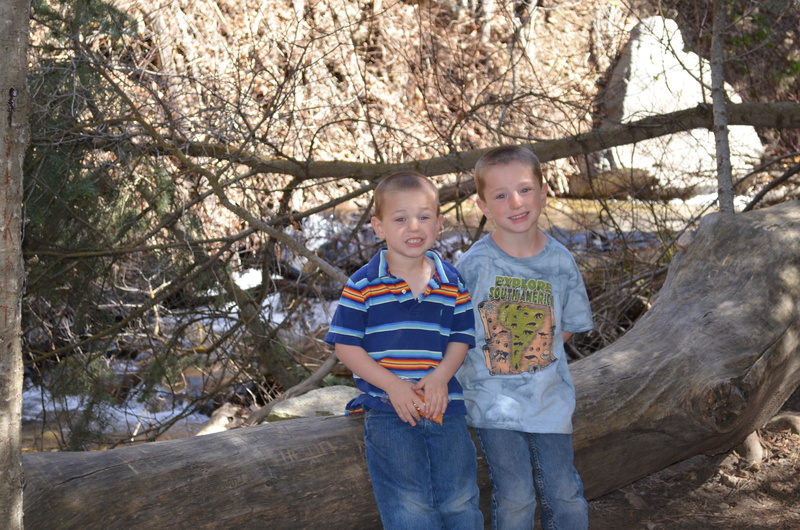 While in beautiful Utah we took our first family hike on a trail called The Adams Canyon Trail. What we thought was going to be a 3 hour 3.5 mile there and back trail ended up being a 6 hour 7 mile trail there and back. 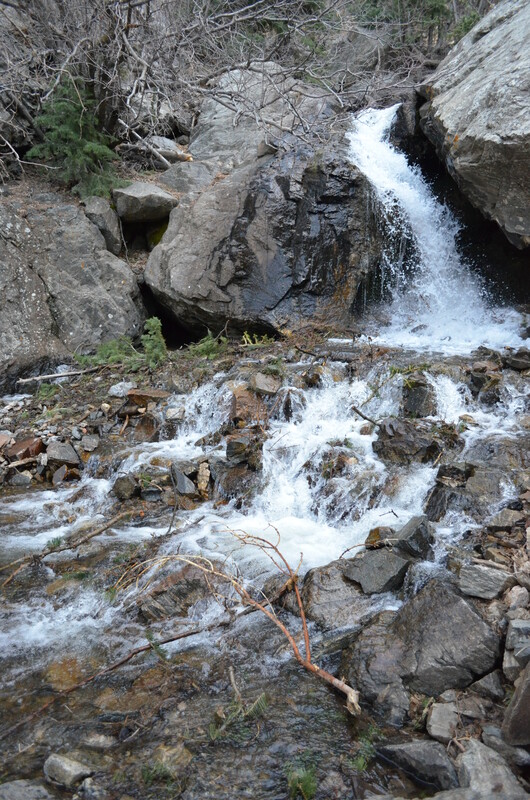 The trail was pretty strenuous and a little scary in spots… there were sharp drop offs and steep, rocky climbs… both up and down the mountain. 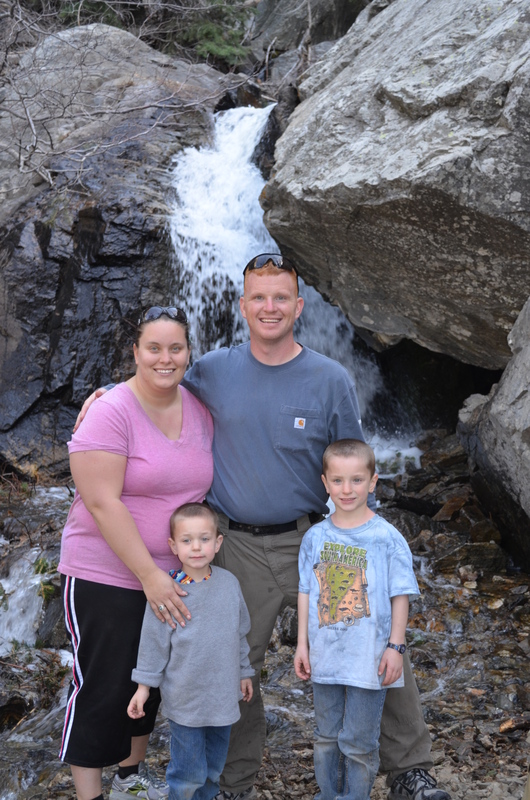 Overall we really enjoyed the hike and beautiful scenery. The next day Patrick and I were super sore, but the kids were hopping around just fine. We can’t wait to do some more trails! 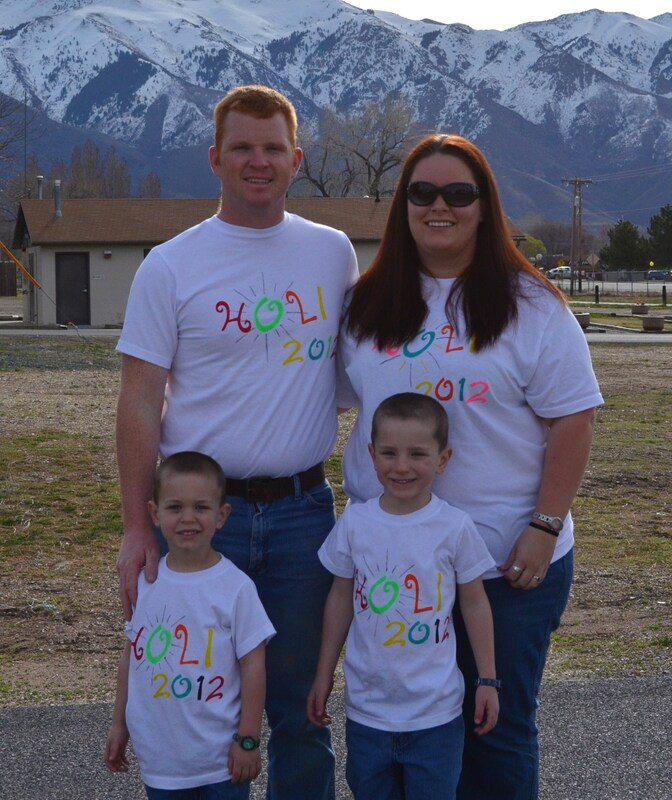 Saturday March 24, 2012 we went to the Holi fest… which is also known as the festival of colors! 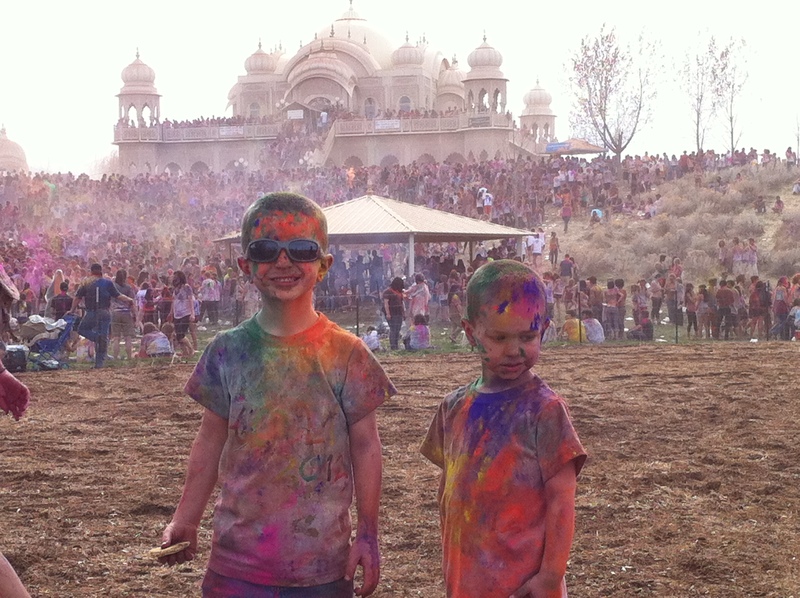 The Festival of Colors, also known as Holi, is two days of thousands of people gathered on the hill of the Krishna temple throwing brightly colored powder, participating in holy mantra and dancing to live music and bands.. Holi, the largest Indian festival, is held on the first weekend of spring to celebrate the beginning of the season. 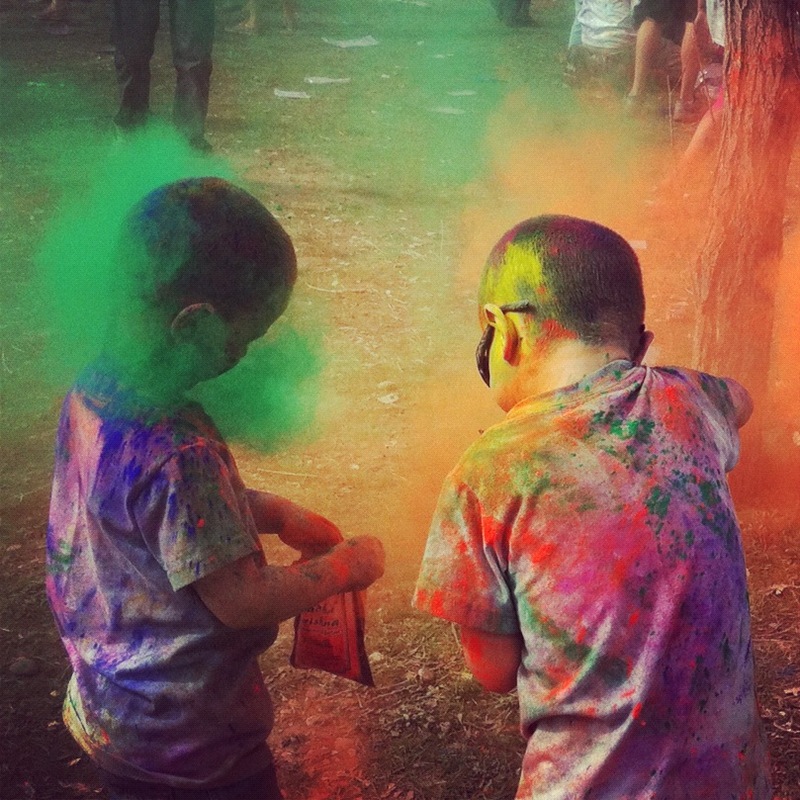 Colored and perfumed powders are thrown at each other and in the air to celebrate the new season! 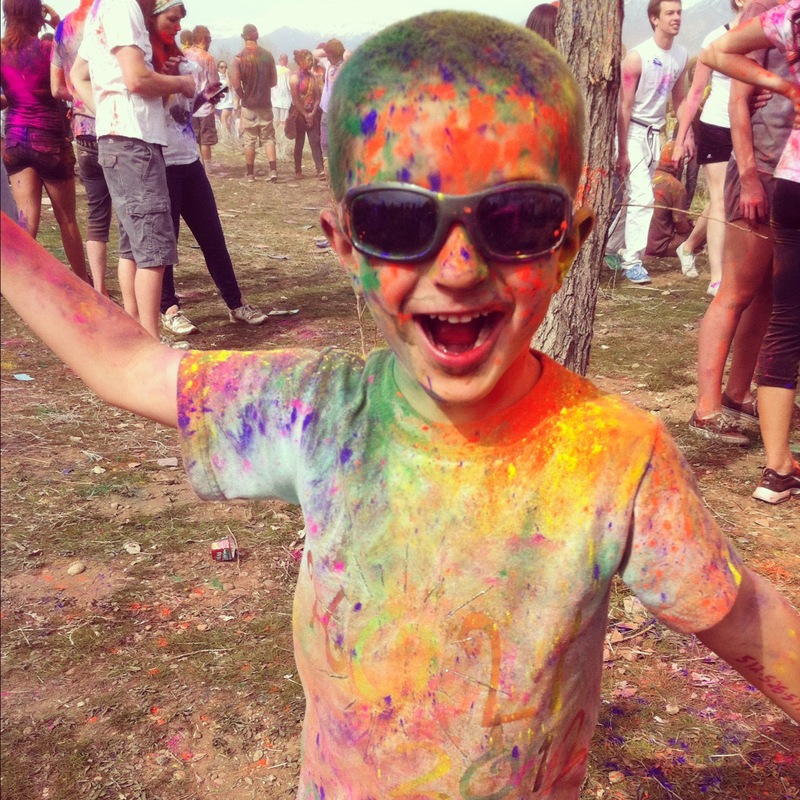 Holi marks the end of the winter gloom and rejoices in the bloom of the spring time. 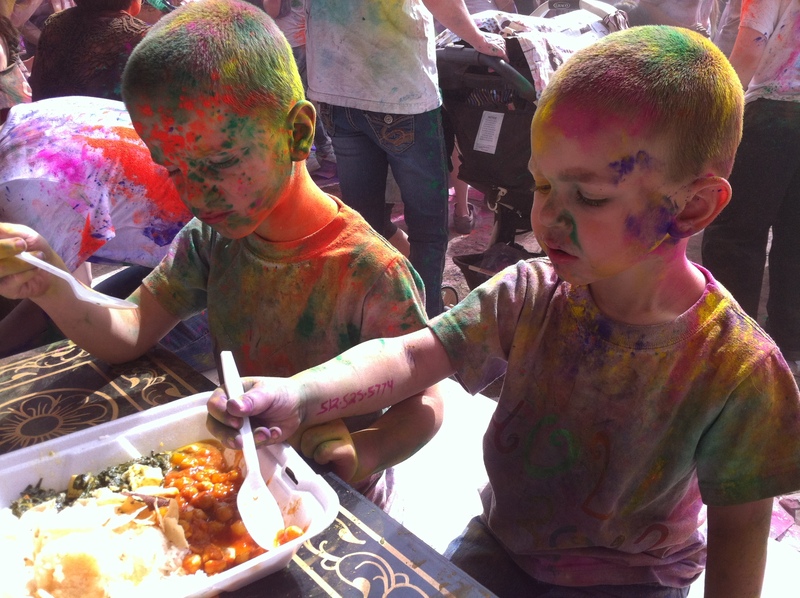 While at the festival we ate some traditional Indian food… vegetable curries, Basmati rice, Dahl — spiced bean soups, papa-dams and mango juice. I can’t say it was the best food I ever tasted, but we ate it anyway because we had to stand in line FOREVER to get it! We were really excited to go! We parked and rode the bus 3 miles to the Temple. Upon getting there we walked about 1/2 a mile to the temple. We had pre-paid, but we still had to wait in a MASSIVE line of people to filter through the bottle-neck type gates. Once inside the gates we made our way to the back of the temple to get our meal tickets, shirts and our 10 bags of COLOR! The crowds were unbelievable! There were times we were in a powder coated blob that did not move no matter how hard we tried. We got our items and made our way out of the tight crowd. We got our food after a very long wait in line. The food was not good. We all ate it because we were starving, but I would NEVER willingly eat it again! After “lunch” we moved to a “less crowded” area on the hill and opened our bags of color. We let the boys throw them on each other, us and innocent bystanders! They LOVED that part! Shortly after we made the trek back to the bus and waited another long amount of time to go home. I MIGHT go again… IF it were at a different venue and there were not 80,000 people who are mostly crazy, rude and disrespectful college students! The good part is the boys got to do something they never get to do… go crazy and throw things at people! They loved it, but I think I will leave this event to the college kids. It’s just a car wound! After Grants “accident” with the bunk bed my new car was feeling left out! We were on our way to the festival driving down a main street in Provo, Utah when a young driver tried to pull out in front of us to make a left hand turn. We saw her in enough time to be able to slow and swerve, but it did not save the car from a wound! 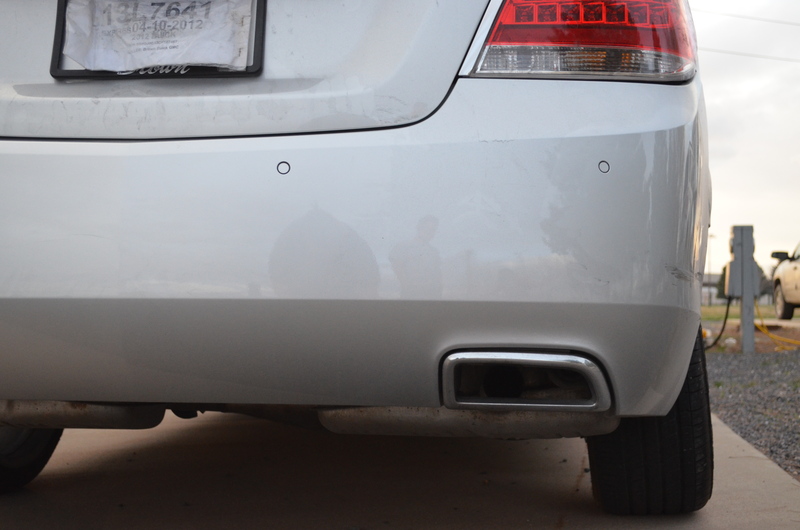 It was a minor accident and nobody was hurt… just stinks that it happened to my brand new car that does not even have plates yet. 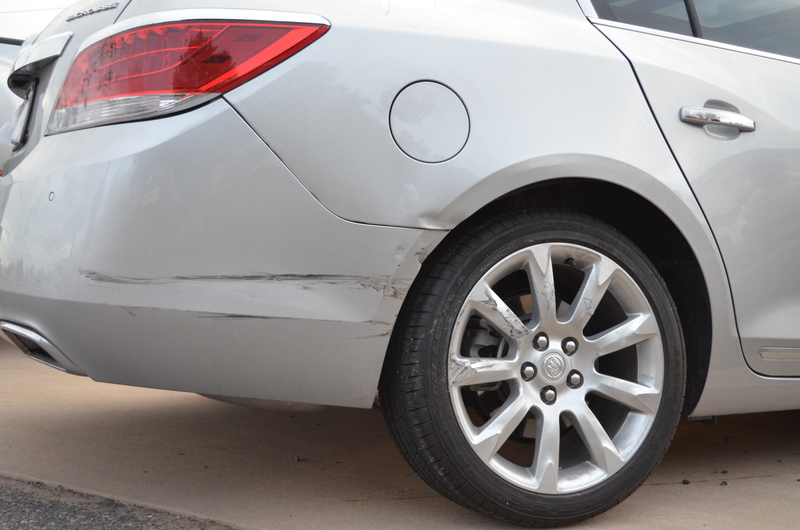 Tuesday we have a meeting with the insurance adjuster… we’ll see how it goes! I am a mom and wife to a family that travels the country in their 5th wheel. I love to road-school, cook and explore the country with my family. I share my experiences here! Click here to visit Pine Country Publishing.